As some of you may know, over the last twelve months Caprice have been working on upgrades to our facilities. Therefore, we thought it was a good time to give you all an update on how we went. Our priority at Caprice is providing a safe, enjoyable and productive work environment for our staff. With this in mind we have made several changes that not only improves the safety of our workplace but also the overall efficiency. 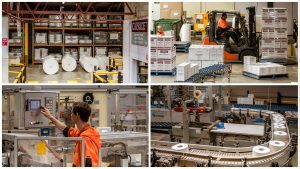 Creating clearer and more efficient work spaces around machines, reducing forklift traffic within the factory and upgrading machinery has made a huge difference to workplace safety. As we have continued to update our machinery over time, we have recently been able to retire several of our older machines and improve the capabilities of our newer ones. 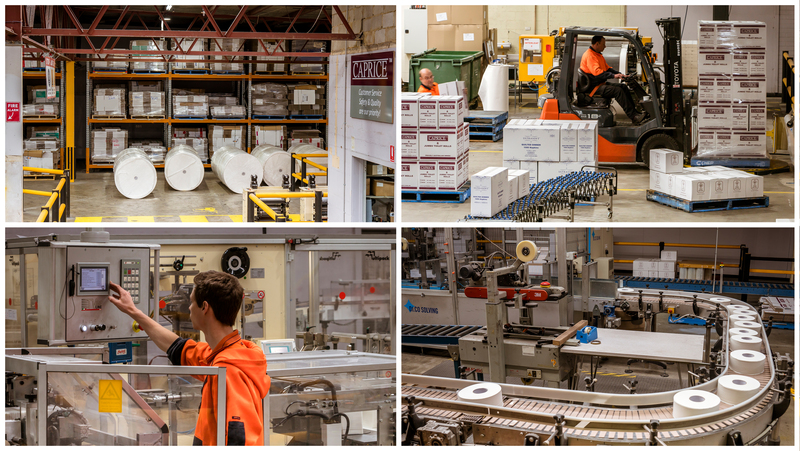 By streamlining our production facilities, we have been able to increase our storage areas to allow for safer and more efficient interaction between warehousing and production floor. Improvements in our pallet racking has also allowed for safer and more efficient storage with less damage to products. In addition to this, installing new safety barriers and making improvements to our signage and line marking has allowed for far better clarity and interaction between work spaces. Although some of what we have done may seem tedious, we are very excited that these improvements have been made. These changes, along with upgrades in our office area, have contributed to a safer, more enjoyable and more efficient workplace for our valued staff members and visitors here at Caprice.